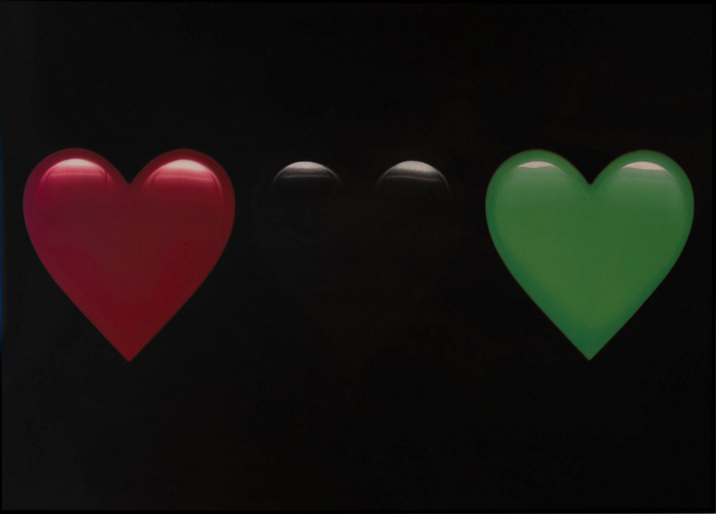 Mary Boone Gallery on Fifth Avenue presents New Icons, an exhibition of new paintings by DERRICK ADAMS before the gallery closes. New Icons is a series of large-scale, vivid and minimal oil paintings created through a combined process of CNC machined painting and the artist’s hand. Multiple thin layers of oil paint create each image with a likeness that purposefully and naturally mimics the digital realm. Additional paint is applied by hand,bridging the gap between the limitations of technology and the desired image. 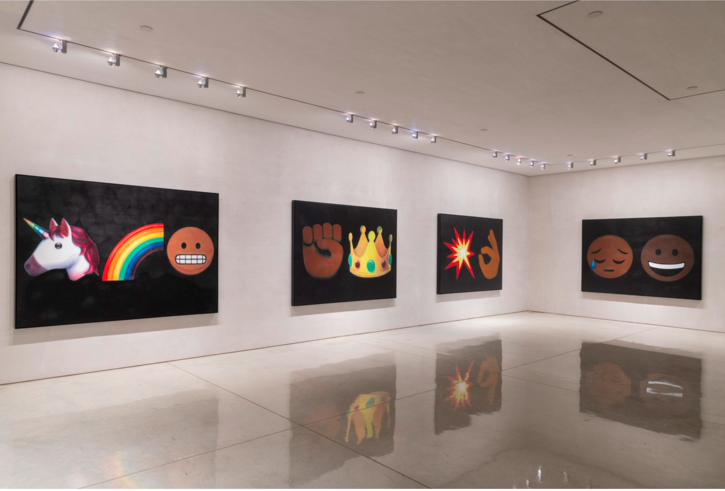 The result is an illustrative representation of emoji language – the familiar visual expression associated with social media and digital messaging. 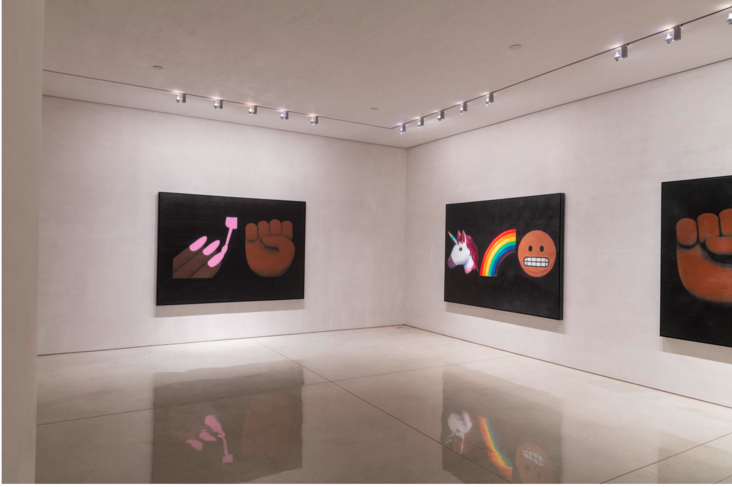 Each work from the series is a portrait which combines specific images from the emoji library to make reference to an individual that, because of their radical nature, Adams feels is important to American popular culture. Subjects include Grace Jones, Colin Kaepernick, and Sister Souljah. 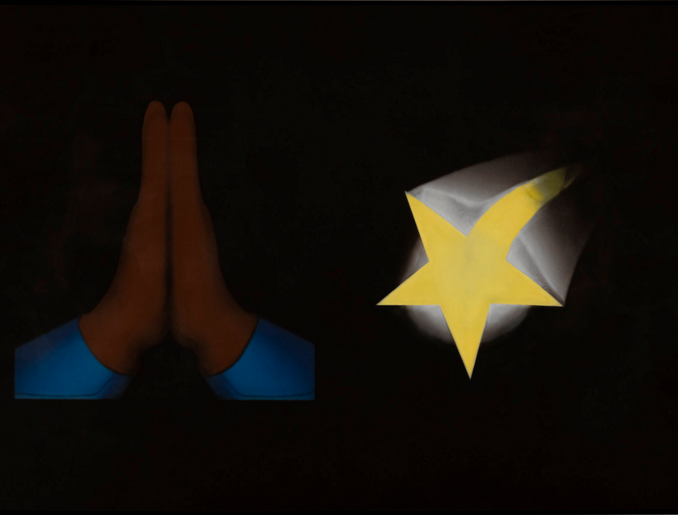 Derrick Adams is a Brooklyn–based, multidisciplinary artist, working in performance, video, sound, paint, textile- and paper-based collage, and multimedia sculpture. His practice is rooted in deconstructivist philosophies such as the fragmentation and manipulation of structure and surface and the marriage of complex and improbable forms. Through these techniques, Adams examines the force of popular culture and the media on the perception and construction of self-image. The exhibition, at 745 Fifth Avenue, is on view through April 20, 2019.